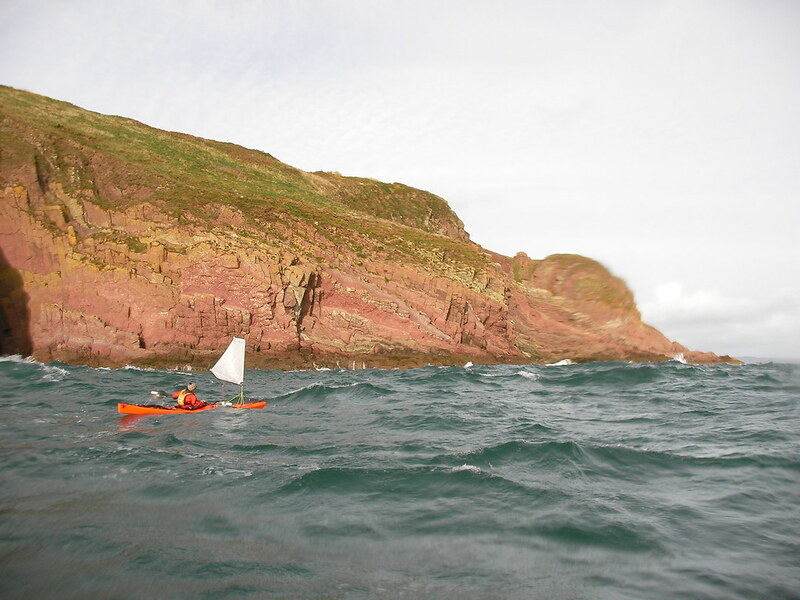 Sea kayaks enable their users to explore and play on life-affirming journeys. Part of the challenge is to safely utilise the currents, swell and winds. The direct energy of the wind has been largely unused by most modern sea kayakers. In recent decades sailing rigs have become far more manageable to use on sea kayaks and their distribution/availability outside of Australia and New Zealand is only now becoming a reality. 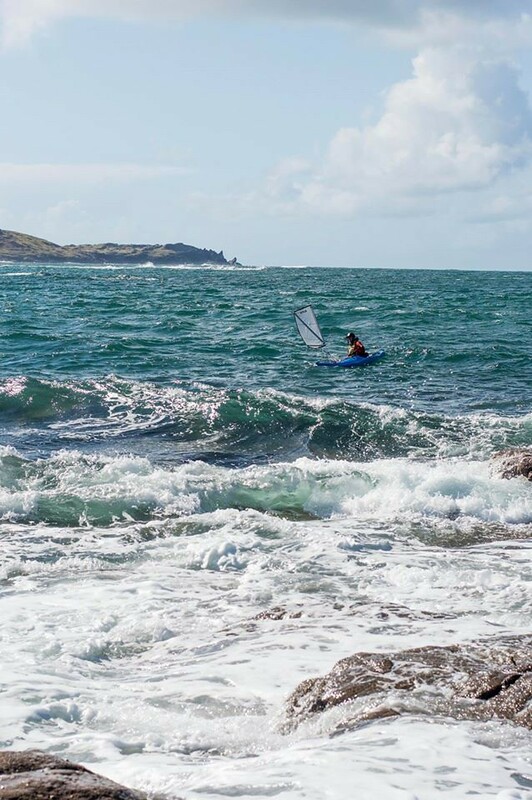 This exciting development is opening up brand new sea kayaking opportunities and challenges for all. From downwind coastal runs to traversing huge exposed island chains, like the Aleutians, sea kayak sailing is putting bigger smiles on people’s faces and aiding in epic journeys. Kayak sailing was invented in 1865 when John “Rob Roy” MacGregor designed and built a sailing kayak for his 1,000 mile journey along the inland waterways of Europe. Those early Rob Roy Kayaks subsequently evolved into the huge variety of kayak types that we know today. Sail equipped kayaks remained popular into the 1930s. In 1934, Alastair Dunnett and Seumas Adam (“The Canoe Boys”) used their sail equipped Lochaber kayaks on an impressive and pioneering journey to explore the west coast of Scotland. Kayak sailing also became popular in continental Europe during the 1920s and 1930s. In 1928 Franz Romer kayak sailed across the Atlantic from Lisbon to Puerto Rico. He attempted to continue his journey onwards to New York but went missing, presumably killed, in a hurricane. Oskar Speck’s similarly epic seven year kayak sailing trip from Germany to Australia should have been widely celebrated as an amazing achievement. However, arriving at his destination in September 1939 he was interned for the duration of the Second World War. Kayak sailing subsequently went out of fashion in Europe. Towards the end of the twentieth century sails were beginning to be developed for use on modern sea kayaks by Australia and New Zealand-based kayakers. 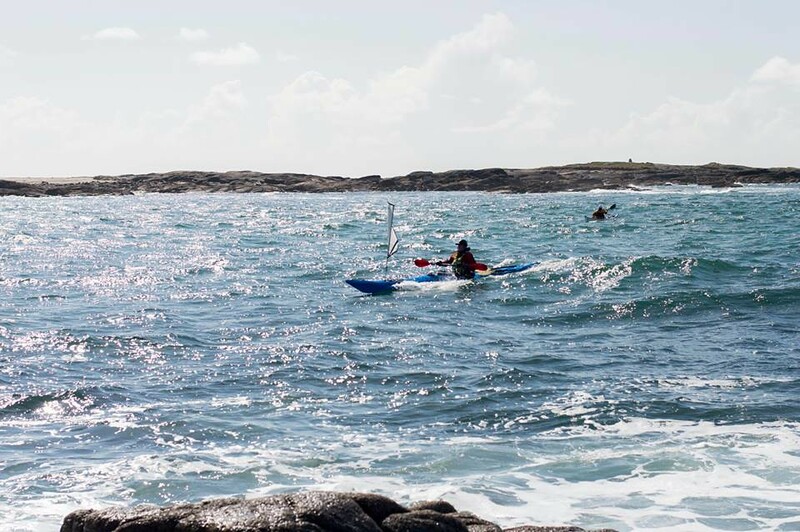 Sea kayak sailing is now commonplace in these countries and is beginning to take hold in Europe and North America. Maintaining the top displacement hull speed is easier when sea kayak sailing. It is also much easier to get your kayak planing in swell and tidal rapids. This is particularly useful when attempting to catch less steep waves. In essence you will catch more waves, considerably increasing your speed and range. Average speeds of 7 knots with planing top speed runs in excess of 10 knots are not unusual in conditions where it would be considerably more difficult for conventional sea kayaks to plane and maintain average speeds of more than 3-4 knots. When the waves become too steep it is best to stow the sail away as it will no longer enhance the experience and will, most likely, become a liability. The sail appears triangular and conspicuous from afar and/or in overhead rolling swell. 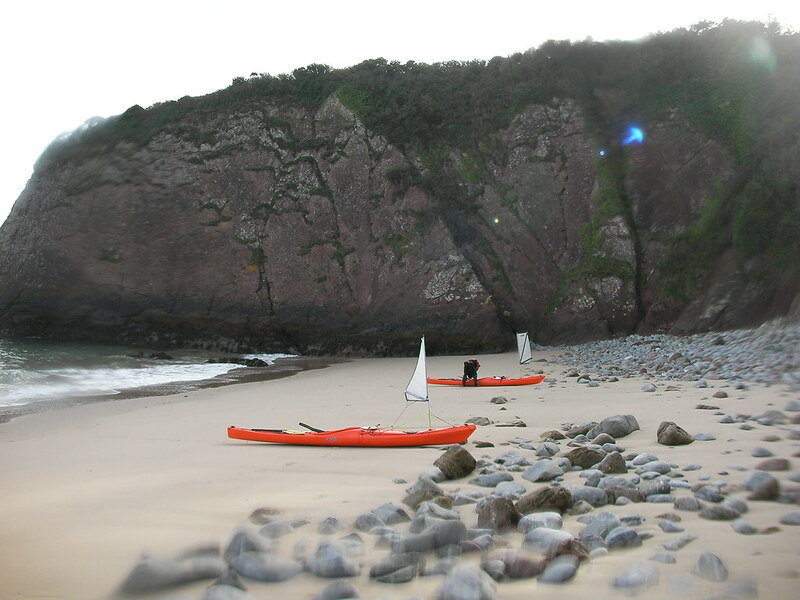 The exposure of paddling along coastlines with less frequent safe landings is reduced if the wind and sail combine to add to the kayaks propulsion. The main airfoil sail available in Europe is the Flat Earth Kayak Sails range of airfoils. They are designed and manufactured in Australia by Mick MacRobb. Other airfoil sails are being manufactured for sea kayaks but they are far less common in Europe. Many composite sea kayaks will need strengthening in order to accommodate a sail mast. You can assess this by pressing down on the deck near the compass recess and gauging whether there is much flexibility in the deck and hull. Most kayak companies will strengthen your kayak by special order. Plastic kayaks tend to be more robust in taking a sail mast. Since 2012, P&H kayaks have produced all of their composite kayaks with enough strength to accommodate a sail mast. 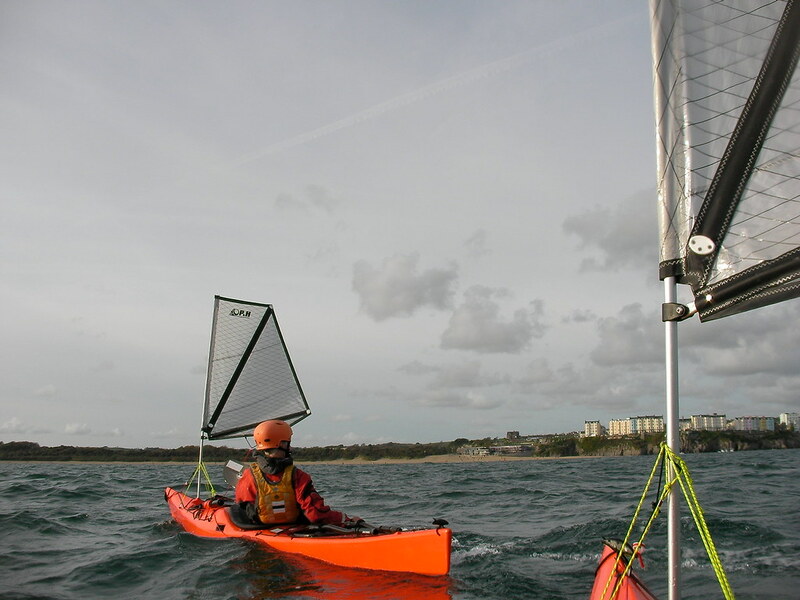 Their plastic Scorpio MKII range of sea kayaks has been designed with sailing in mind. It easily accommodates a Flat Earth Sail and handles superbly well when sailed. 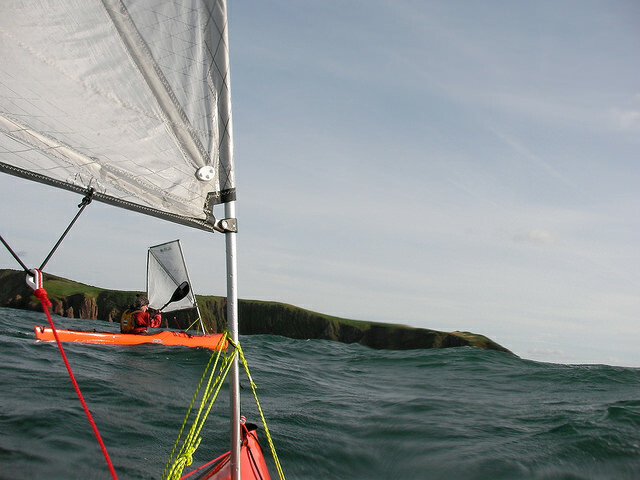 Scotland – Karitec are the main UK distributor of Flat Earth Kayak Sails and have a range of demo boats to try out under sail. 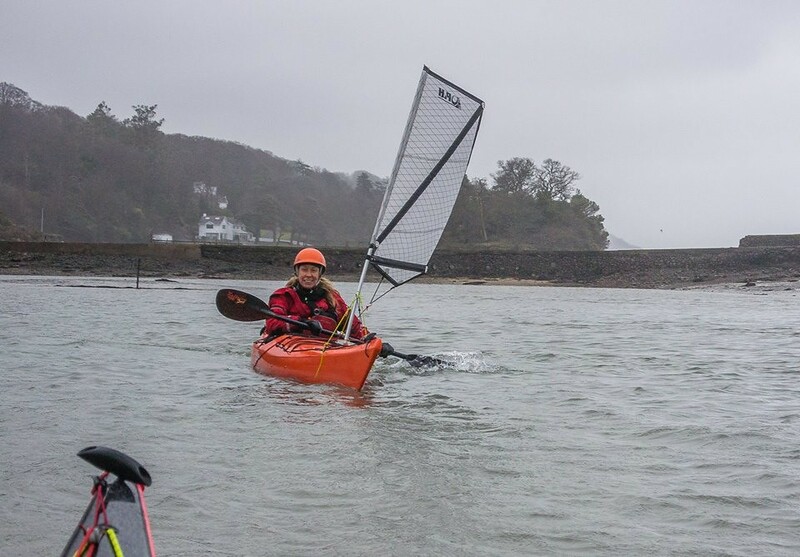 England – P&H have demo kayaks fitted with sails and attend many sea kayak symposiums. 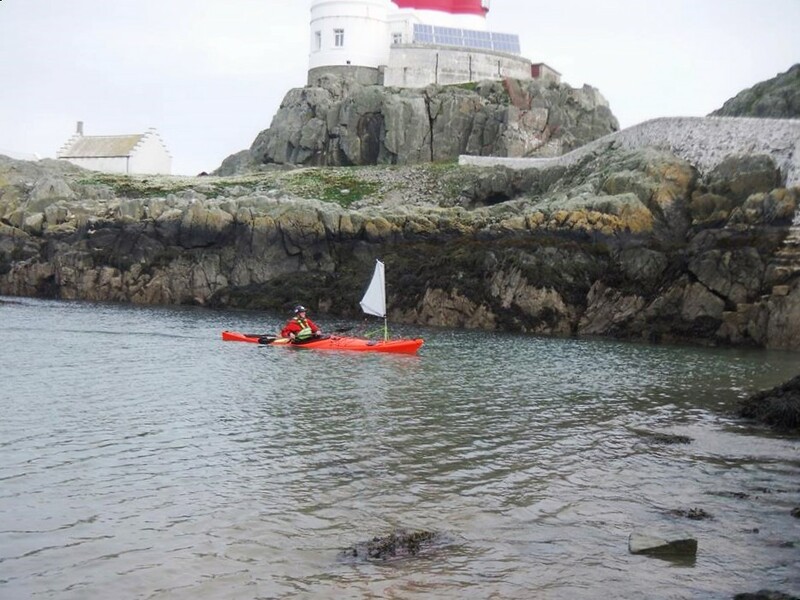 Wales – Sea Kayaking Wales (SKW) are based on Anglesey and have a range of P&H sea kayaks and Flat Earth Kayak Sails to try out. 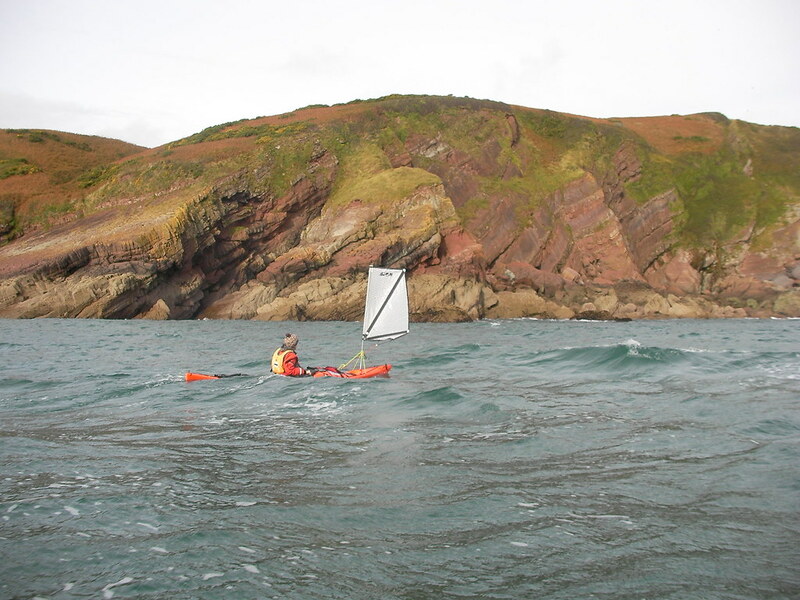 SKW also run sea kayaking (including sailing) courses in Ceredigion, Pembrokeshire, Llŷn and the Gower. Flat Earth Sails are available to purchase from SKW. http://seakayakphoto.blogspot.co.uk/ – An excellent blog written by, Douglas Wilcox, one of the most enthusiastic proponents of sea kayak sailing in Europe. http://www.flatearthkayaksails.com/ – The most popular airfoil sail in the UK at present. This entry was posted on Sunday, July 24th, 2016 at 9:29 pm	and is filed under Reviews, Technical.